EVERY PHONE HAS its own settings. It’s usually the place where you can modify almost everything about your phone so it best suits your needs. Yet if you have an Android phone, you might not realise that there’s a second settings app on it. Google Settings is usually found in your apps tray, separate to the traditional settings, and you can easily forget about it if you don’t go through your app tray regularly. But if you’re interested in what data Google uses for its services (like Google Now) and want a little more control, it’s worth paying a visit. Some of the settings featured here overlap with each other so it won’t take as long as you would initially expect. Sign-in and security - These direct you to your Google Account webpage, presenting you with all your login methods. These include general password, two-step verification, app passwords and recovery method. It also covers all the devices that you’ve used recently and all apps that are connected to your account. Personal info and Privacy – As suggested, this allows you to change your personal details and what info Google remembers about you. You can pause history for some or all services, modify ads settings and get an overview of how you use Google products across the board. The most important part of this is your account data where you can decide to copy or move your content or assign an account trustee, which allows you to choose someone to access your data if you’re inactive for a certain length of time. You can also choose to completely delete your data after this period has passed if you wish. Account preferences - This basically lets you select a language to use for certain features (if they use non-Latin characters) and check how much storage you’ve used up on Google Drive (default is 15GB). You can also use this to delete products or your Google account data. Ads - This allows you to opt out of interest-based ads (you can see tailored ads in Personal info and privacy) and reset your advertising ID if you feel it already knows too much about your phone/web habits. Connected Apps - Presents you with all apps connected to your Google profile. 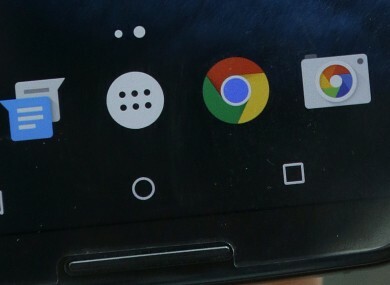 You can filter them by seeing apps connected through Google+ sign-in or checking apps linked to Google Fit. Data Management - If you have any apps connected to Google Drive, this controls whether they’re updated through WiFi only or use mobile data as well. Google Fit - Similar to connected apps, this allows you to look at all apps connected to Google’s activity app. Google Photos Backup - As well as controlling whether photos are backed up through this method, this gives you an overview on space left over, choose the upload size (High quality is free provided said photos are 12MP or less) and the methods used to back up your photos. Location - As well as a quick overview of recent activity, this allows you to determine what features you use to find your location. ‘High accuracy’ uses GPS, WiFi, Bluetooth and mobile networks to figure it out, ‘Battery saving’ is the same but doesn’t use GPS, and ‘Device only’ uses GPS only. You can also control and delete location history here as well, and get an overview of recently used devices. Play Games - If you ever played a game on Android and connected it to your account, this controls how public your account is, and what notifications are sent to you. Search and Now – The bread and butter of Google, while you should go through all the sections here, the main one you should prioritise is Accounts & Privacy. Once there, you can control your account history (similar to Activity Controls from earlier), safesearch filter, search through google.com or through your local domain and turn on/off commute sharing (if you’re connected with friends or family). The other sections deal with voice settings, what appears on Google Now and choosing which apps come up in your mobile searches. Security - A phone-specific feature, this deal with those trying to access your phone or Google accounts. You can set up a eight-digit security code to further deter anyone from accessing your account, control how much remote access Android Device Manager allows you, and making sure all apps downloaded are safe and not a threat. Set up nearby device - If you want to set up a new Android smartphone or tablet, this allows you to quickly set up one using your current device. Smart Lock for passwords - This feature saves your username and password data, allowing you to automatically sign you into accounts. Here you can control whether it’s enabled, if apps can automatically sign you in and choose apps that aren’t allowed to save passwords. This is also synced with Chrome passwords (if you’ve chosen to do that) which you can check with passwords.google.com. Email “There's a second setting screen on Android that you might have missed”. Feedback on “There's a second setting screen on Android that you might have missed”.